In Person: Q&A with actress Lisanne Falk, cinematographer Francis Kenny, director Michael Lehmann, screenwriter Daniel Waters, moderated by April Wolfe. In Person: author Mark A. Vieira will sign copies of "Forbidden Hollywood: The Pre-Code Era" before the screening. In Person: writer-director Ali Jaberansari. At NeueHouse, Hollywood. Writer/director Robert Townsend in person! In Person: writer-director-actor Payman Maadi. In Person: artist Sussan Deyhim, professor Ahmad Karimi-Hakkak. At LEVEL, Downtown. Writer/director Darren Stein, actresses Rebecca Gayheart and Julie Benz, costume designer Vikki Barrett, sound designer Lisle Engle, and more in person! At NeueHouse, Hollywood. Director Penelope Spheeris in person! Live accompaniment by Edward Torres on the Mighty Wurlitzer. In Person: filmmaker Nina Menkes. In Person: filmmaker and guest curator Sandi Tan. 1939 Film Festival celebrating the 80th anniversary of this landmark Hollywood year. for Los Angeles’s revival houses and repertory cinemas. Add the site to your device’s home screen to launch it like an app. Go to the homepage of revivalhouses.com in your phone or tablet’s web browser. 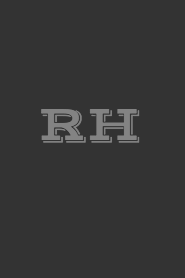 You should now have the “RH” icon on your home screen. Moving forward, just tap the icon whenever you want to open the site. If you have an idea, feature request, or question, please get in touch! Movie poster images courtesy of TMDb. This product uses the TMDb API but is not endorsed or certified by TMDb.